← Former President’s PRO files protest after contract termination. 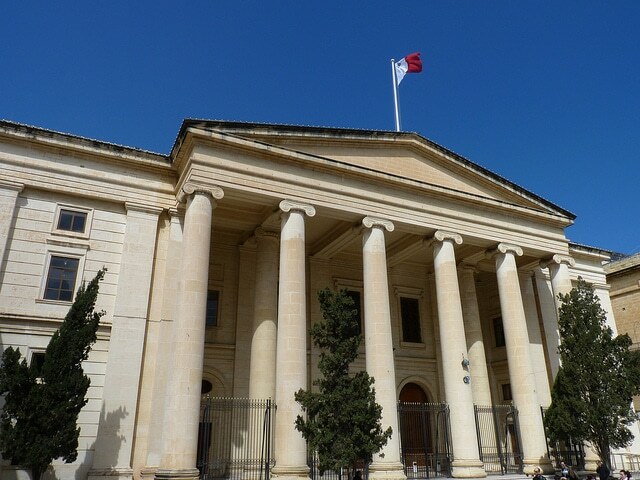 The Sunday Times of Malta (August 28) reported a decision by the Industrial Tribunal of July 23. A dismissed employee sought redress for unfair dismissal. He had received various warnings for various wrong-doings. The tribunal established that while the employee was undergoing proceedings in respect of allegations of carelessness at work, the employee was found using his mobile at his place of work, an act strictly prohibited at that place of work, and he was consequently dismissed. The tribunal made its own considerations, concluding that throughout the years, there developed at the place of work some norms and procedures which were not conducive towards maintaining good working practices. The tribunal went as far as to observe that over a period of time, the employees considered acts of malpractice as rights. The employee claimed that the twist (in curbing on malpractices) came when a new manager was appointed. The tribunal conveyed a message to all stakeholders, employers, HR managers, trade unions and employees – that the right industrial climate at the place of work is not achieved through draconian measures by the employer, nor is it achieved through a laissez-faire attitude by the employees. Based on all the facts of the case, the tribunal concluded that although the employee should have been disciplined, the dismissal was unjust at law and ordered the company to pay €10,000 by way of damages. In May 2013 the Industrial Tribunal, differently composed, had a similar situation to deal with, albeit with different facts. In that case, the employee had been on prolonged sick leave, based on a medical certificate stating that the employee had “full phobia of his workplace” and that the employee “could not return to his workplace unless his situation at his workplace changed”. In that case, the claimant disputed his dismissal and argued that his sick leave was the result of the attitude a new manager had towards him. The tribunal gave a clear message in that decision too, stating that is was clear that a decision had to be taken to avoid the company in question becoming another dry docks and the company was legitimate in taking a decision because it was unacceptable for an employee to remain on the company’s payroll without reporting for work for more than a year, and consequently dismissed the employee’s claim for an unfair dismissal. 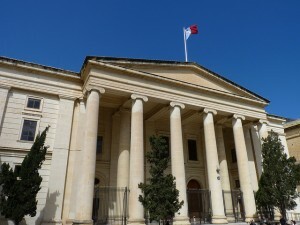 So, whereas on the one hand, the tribunal acknowledged the wrongdoing of the employee but punished the employer’s actions, on the other hand, an employer was rightfully “acquitted” for taking a decision to dismiss an employee when the latter had a medical certificate claiming to have developed a “full phobia” for his place of work and “could not return unless his situation at his workplace changed”. While declaring my direct professional interest in the latter case, I strongly believe that the latter judgement is perfectly correct and the message there was loud and clear. Stop abuse. Expect new managers to bring in new practices. New managers are engaged to improve practices and curb bad habits. But can we say the same about the former tribunal decision? What exactly was the message being conveyed there? Can we really speak of consistent decisions by the tribunal? The Malta Employers Association has, during the summer months, published a series of proposals worth considering and debating. One may agree or disagree with the contents thereof – but the truth is that most of the issues deserve a serious debate followed by concrete action. To what extent does an employer have a right to change work practices? Should there be a consultation process? Is the employee or his representative entitled to be consulted on such changes? Do unions expect more than simply consultation? How do we strike the balance between the management’s right to change and the employees’ interests? What changes are deemed acceptable and which would a tribunal consider draconian? Should the quantum of damages remain at the sole prerogative and at the sole discretion of the tribunal, as presided? Should there be some guidelines or capping? Are we speaking enough about obligations? Are our tribunals outlining the employees’ obligations enough, while protecting their rights at law? Are we promoting a sense of discussion and dialogue between the worker and/or their representatives and the employers? How should an employer record any of his employees’ wrong-doings? To what extent are employees entitled to resist change? Can they opt to refrain from cooperation? What is the true value that is being given to formal warnings at the place of work? Is workplace mediation finding its place? Are we happy with the way medical certificates are issued for sick leave purposes? We rightly outline abuse by employers, but are we aware of abuse by employees? What about the phenomenon of employees reporting sick to extend weekends? Is abuse of sick leave being curbed enough and are there the necessary tools to help employers curb on any form of abuse? Do we have policies in place? What about the personal use of internet, mobile phones and social media at the place of work? Are we instilling a culture of responsibility at the place of work or are we allowing a pitiful ‘anything goes’ attitude? Fully recognising and protecting the employees’ rights at law – what kind of awareness is being instilled in our younger generation in preparation for their future working life? Do our youths/students know what is expected of them at the workplace? Some of these questions have simple answers, others not. Maybe the time has come to rethink and revise our employment legislation to reflect today’s labour market. Does our employment legislation need polishing? Until then, when and where the law is silent – work practices rule. When work practices are unbalanced, then the Industrial Tribunal should express itself and interfere to solve issues before it and give clear guidelines. But the message has to be loud and clear and not ambiguous! Ian Spiteri Bailey is an employment lawyer and director of ObjectiveHR.